With the arrival of spring comes a bevy of 5k run/walk events. 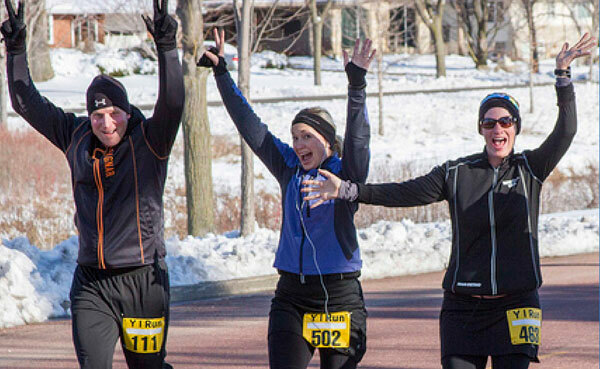 If you’ve never participated in a 5k, consider making this your year to give it a go! A “5k” is a distance of 5,000 meters—or for those of us not operating on the metric system—3.1 miles. Even if you’ve never walked or run one mile, a 5k is a great distance to work toward for beginners. To get started on the road to your first 5k, you’ll need a training plan, ways to stay motivated, and an event to give it a try. The keys to training for a 5k are to have a plan, stick with it, and don’t try to do too much too soon. There are several free training plans available online—most can be completed within just two months. Running or walking a 5k is definitely more fun with a few friends or family members. Enlist a buddy to train and complete a 5k with you. If you’re the most motivated and active member of your group, try using a fitness app to help keep you accountable to seeing that 5k finish line. Try the Pact app, which uses financial incentives to make sure you get your regular runs in—outdoors or indoors. Watch your progress as you train with the MapMyRun app that records your run duration, distance, pace, speed, elevation, calories burned, and route traveled. The final step of the process is to put all that training to work and register now to participate in your first 5k. You can find a 5k happening at any time of year on the Road Race Runner site.